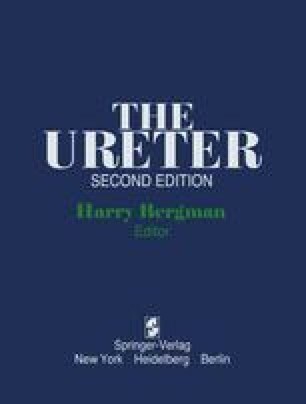 A perusal of the urologie literature reveals that the pathology of the ureter is described usually in conjuction with the pathology of the renal pelvis and the urinary bladder. There is ample reason to do so. Anatomically, histologically, and physiologically, the three represent one unit and the pathologic manifestations are quite similar. It is the purpose of this monograph to present only the pathology of the ureter and its classification. Other aspects necessarily relating to pathology are amply discussed in their respective chapters.